This page is a continuation of instructor resources. Summary: Dieting is rampant in our society. The entertainment industry and fashion advertising popularize stick figure women, to make people feel inadequate or insecure so they buy advertised products. One product advertised like crazy is fad diets. There are hundreds of diets. Fad diets are popular short term weight loss diets of the day, which often suggest completely opposite eating regimes to one another. They more often than not result in weight gained back after completing the diet, and can even be dangerous because they eliminate certain nutrients, resulting in malnutrition. Fad diets can be spotted easily because they often promise very quick weight loss, warn against some component of food & eliminate it, and cost a lot of money. Further, there is little or questionable research to validate the diet. Some popular and potentially dangerous diets are: the 4-hour body, blood-type, HCG, south beach, Atkins, Bernstein, Zone, lemon detox, Paleolithic, and the Dukan diet. Other strange and more dangerous diets include the cabbage soup diet, apple cider vinegar diet, acai berry diet, and the tapeworm diet. As an example, the HCG diet involves a hormone (human chorionic gonadotropin) that has nothing to do with diet and is not approved for that purpose in Canada. Some diets may be specific for diseases – such as gluten-free diets which are meant for those with celiac disease, and other medical conditions, but not for general weight loss. Some diets turn out to have efficacy in treatment of certain conditions, such as the Atkins diet, which is used with epilepsy patients. There are many sound recommendations for safe and healthy eating habits, which are particularly effective when combined with regular exercise, adequate water intake and adequate sleep. Any diet one is contemplating should be researched thoroughly, for the safety of the diet and also whether the diet is compatible with the physical conditions of the dieter. Summary: Marijuana (Cannabis sativa) is a fascinating plant. As with many plants, it produces antibiotics and anti-fungal substances collectively known as cannabinoids, THC (delta-9-tetrahydrocannabinol) is probably the most potent, and its function appears to be protecting the plant from UV radiation. In humans, cannabinoids interact with receptors in the central nervous system and immune system of the body, and are thought to be useful in treating various ailments, such as glaucoma, pain, nausea, muscle spasms and loss of appetite. 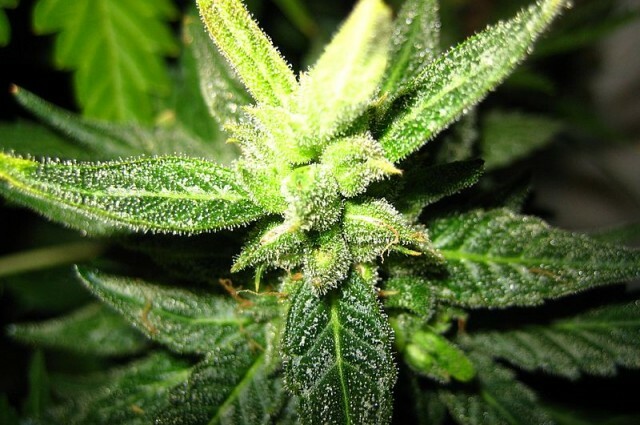 THC or synthetic THC mimics endogenous substances found in the body, and binds to their receptors. For example, the drug dronabinol, a synthetic THC, can increase appetite by binding to receptors in the hypothalamus known to stimulate appetite. There are some studies showing reduction in pain with marijuana use of people with neuropathic pain. Marijuana in the treatment of glaucoma to lower intraocular pressure appears to work, but for a very short time. There are sporadic studies on the efficacy of marijuana treatment for epilepsy, and more studies are underway. There are inconsistent studies in the treatment of MS with the drug. There is also some preliminary research into treatment of autoimmune diseases. Studies investigating the drug’s use for tumour treatment have shown some cell growth control in mice, and human trials may be underway. In conclusion, there are very many unanswered questions with respect to the treatment of diseases with marijuana. Claims that it is a “cure” for this or that are unsubstantiated and irresponsible. As with any drug used for medicinal purposes, side effects must be taken into account, such as effects on fertility, competition with other chemicals in the body, and possible links to psychological disorders. Summary: Stem cells have been prevalent in the news for the past few years, and progress in the field is happening in leaps and bounds. There are adult stem cells and embryonic stem cells. A stem cell is non-functional and undifferentiated cell. A totipotent cell is one that could eventually be any cell in the body. The zygote and early embryonic cells are totipotent. A pluripotent cell may become several different types of cells, such as red and white blood cells. A neural pluripotent stem cell can become a neuron, astrocyte or oligodendrocyte. A unipotent cell can only differentiate into one type. In research, stem cells may be used from embryos or adults. The less differentiated a cell is, the more likely it will be compatible between people. Adult cells can also be induced to regress back to being stem cells (Induced pluripotent stem cells). Stem cells are used for a variety of reasons. One is to replace or replenish cells in an ailing individual. This is done with ALS patients with a variety of stem cells; neural, bone marrow and hematopoietic (Meamar et al 2013). Stem cells have also been used to replace retinal pigment epithelium in persons with age-related macular degeneration (Carr et al 2013). There seems to be potential in the application of stem cell therapy in respiratory diseases as well (The authors 2013). Stem cell therapy is also used to replace cardiac tissue with myocardial infarction, and biological pacemakers are being explored (Chauveau et al 2014). The hurdles to stem cell therapy is the reaction of the recipient’s immune system, and the possibility of tumour formation. Chauveau et al. 2014. Stem cell-based biological pacemakers from proof of principle to therapy: a review. Cytotherapy, 2014; 16: 873-880. 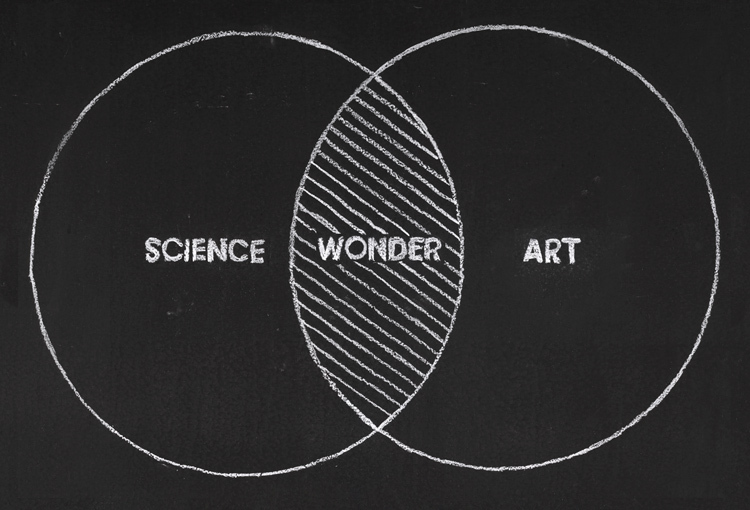 Summary: Science and art are not mutually exclusive. Sure, art students feel forced to take a science elective, but science can be quite creative and beautiful. There are two ways in which art fits into science. One is in the illustration of science which has been around since Aristotle…science would be lost without it. With today’s technology, artistic renditions of science, such as the replication of DNA, is amazing and informative. 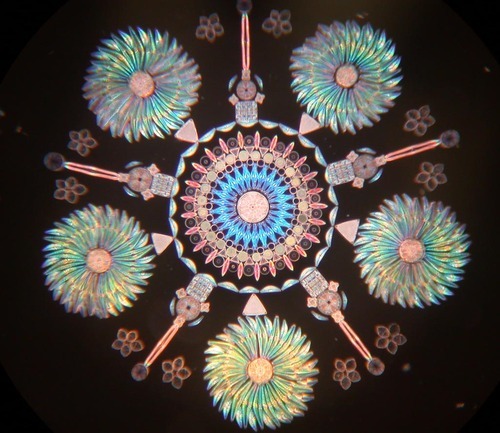 The other benefit of art for science is to engender appreciation from non-scientists. As science instructors and students, it is up to us to education the general public on scientific concepts. Non-scientists are more likely to listen and appreciate esthetically-pleasing reports. The Beatty Biodiversity Museum at UBC has incorporated artists’ drawings along with some of their specimens. It adds a personal touch. Indeed, if you are contemplating a career in botany, one of the most rewarding activities is to draw plants with pointillism or watercolours. 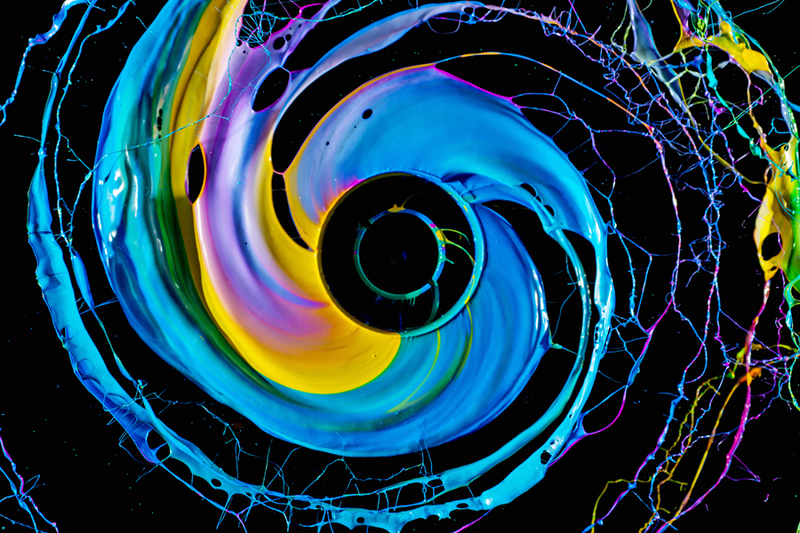 From: ideas.ted.com – Stunning, psychedelic images where art and science collide. Summary: Climate change, incredibly, is still being debated in some circles. The main reason is that people tend to throw out the vast majority of evidence for climate change (warming earth temperatures which has been around for years) in favour of one or two naysayers. And the reason for that is that the naysayers get about as much media attention as the climatologists. To put the issue into perspective, John Oliver offers a realistic view of science communication (Oliver 2014) If you have any doubts, watch the video. Fortunately, the vast majority of the population has accepted the reality of climate change and now when one researches the question, the science articles are not on evidence for climate change, because that has been established, but on the impacts of climate change and solutions and strategies to deal with it. There are strategies to try and alleviate further global warming by cutting CO2 and other emissions in the atmosphere, and strategies to deal with the effects of global warming such as flooding due to rising sea levels, impacts on agriculture, ocean acidification (one of the most serious), air quality, and desertification. Most importantly, this is the time to focus on solutions, and there are many. For example, Germany produces up to 50% of its energy using solar panels. Sainsbury’s in the UK uses food waste (organic material that can’t be used by foodbanks or animal feed) to produce energy (biogas plants use the methane produced by rotting food for energy). Wind farms are being built all over the world, on land and offshore, to produce energy. 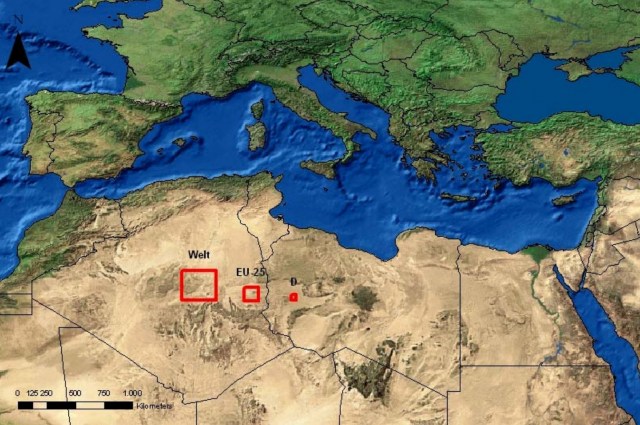 It is thought that this much space is what is needed to supply energy to Germany (the smallest red square), Europe (the second largest), and the world (the largest red square). Summary: 3D printers have been around for about 20 years. It is a technology that is advancing in a similar manner to the regular paper printers we are familiar with. The term 3D printer is used, although it’s really a tiny manufacturing plant. Instead of putting ink on paper two-dimensionally, a 3D printer extrudes materials to build a 3D object in layers. The materials used are materials that can be powered for laser binding, or melted for extrusion. Mostly, plastic filaments are used. 3D objects are printed using a file of the object usually created with CAD software. One company offering the printers is 3D Printers Canada. An entry level hobbyist machine would be around $1000, but the real heavy duty ones can be more than $600,000. People print toys and gadgets, figurines, and even parts of houses. 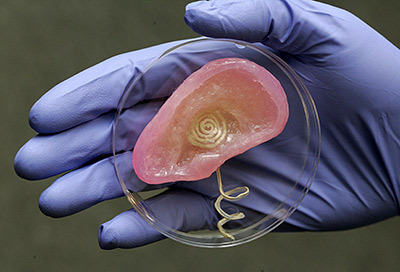 Of interest is 3D printed body parts, sometimes known as bioprinting. 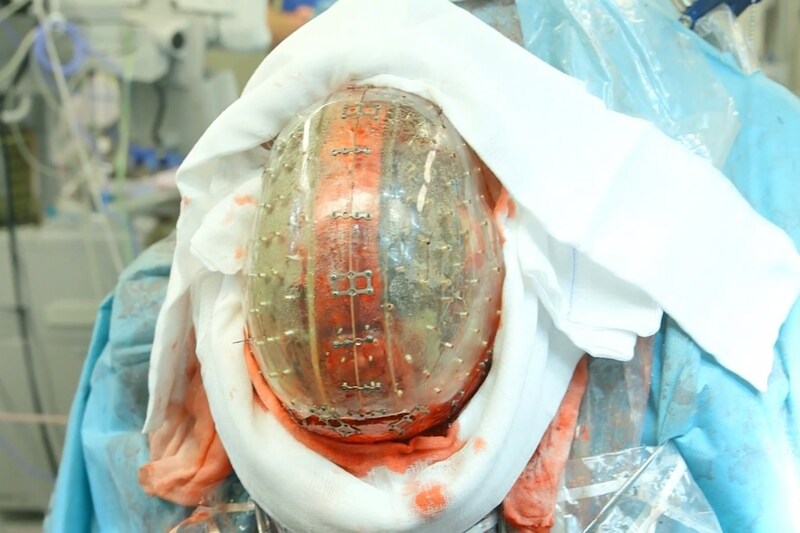 Some parts that have been printed are: prosthetic limbs, skull, hip replacements, pelvis, and eyes. Not impossible/project Daniel. 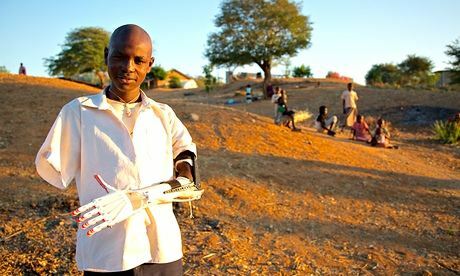 Daniel Omar with the prosthetic arm.